Assisted suicide is not about pain control. Palliative care in the 21st Century has come so far as to be able to eliminate virtually all physical pain. Assisted suicide is about the illusion of personal control even over death. Death is not a right, it is an eventuality that will visit us all regardless of what any law may state. It is life that must be protected. All the great human rights documents such as the American Declaration of Independence, the UN’s Declaration of Universal Human Rights and even Canada’s Charter of Rights and Freedoms place the Right to Life as the first legal right. Why? Without the Right to Life assured all other rights become arbitrary and uncertain. A truly progressive and compassionate society is concerned about life with dignity – especially for those who do not have it. Death with dignity is not an event, it is the natural conclusion of having lived with dignity. Dignity is not achieved by withholding water and food or injecting poison into a person’s bloodstream when they are at their lowest point. That is not dignity: it is profound abandonment! We have a right to expect the best palliative care and pain management. Ask yourself how assisted suicide acceptance serves the Common Good? It doesn’t. It will put vulnerable people at risk. 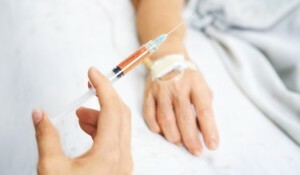 The push for assisted suicide is the natural conclusion of personal autonomy gone amuck. Gloria Taylor wants assisted suicide for herself which is different from suicide because it obviously requires assistance — a coarsening of some other person’s conscience. The eyeless “I” of assisted suicide1 does not consider the consequences to others. Canada is not 33 million little islands entire unto ourselves. As the 17th Century poet and divine, John Donne wrote “No man is an island entire unto itself. Every man is a part of the continent, a part of the main. … any man’s death diminishes me, because I am involved in Mankind; and therefore never send to know for whom the bell tolls; it tolls for thee.” Only independence and autonomy — the eyeless “I” — sees self and self alone. Interdependence and the interconnectedness of community call for consideration for others — especially the weakest. You see, I do not have a right to ask or demand something that may hurt others. The independence of the individual must only exist within the interdependence of the community. If the desire of the individual threatens the security of whole then individual desires must give way to the greater interest of the community. Otherwise we are only left with 30-million little islands without the whole of a continent, a nation, a community that protects the interests of the weakest against the interests of the powerful. And so the choice before us is stark: Independent and autonomy versus interdependence and community. Laws must protect the weakest and that’s what Canada’s law against assisted suicide does. That is why I used the phrase “The eyeless I.” It is my view that we are witnessing the death of western Christian civilization. New ‘Dr. Death’ Admits to Assisting the Deaths of 300 in U.S.